My 14-year-old daughter said her first sentence. I’ve never heard her say “Mom,” “Dad,” or even her own beautiful name. I think in life, sometimes we just accept what is, because it is easier for us to deal with and comprehend — a form of coping. Sometimes hoping is utterly exhausting. It isn’t that I’d given up, it’s just that acceptance is easier to live with and easier for my brain to understand and compartmentalize. 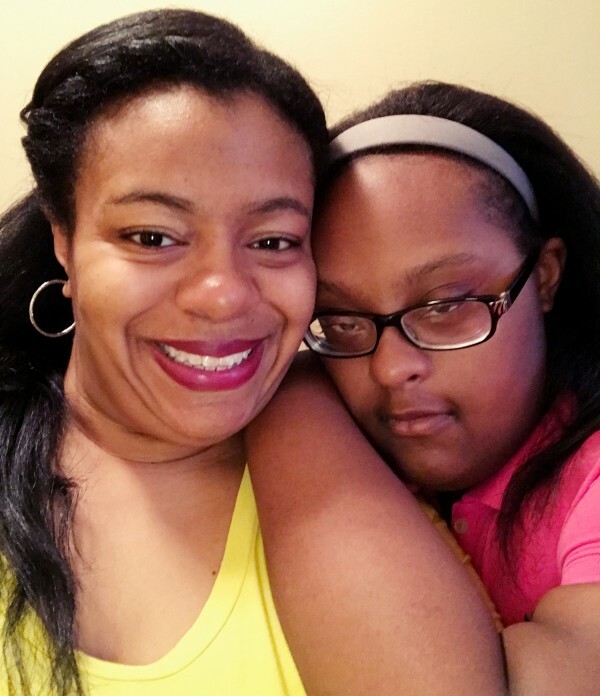 My 14-year-old daughter Tayler has Down syndrome. When she was born, she had to be resuscitated 3 times. Besides hypothyroidism, sleep difficulties, and hyperinsulemia, she is pretty healthy. But she is unable to communicate and is considered non-verbal. Sign language has not been an option for us because that requires fine motor skills that she has difficulty with. She makes noises that sometimes get stares, and she has occasionally said “go” and “hey,” but never a full sentence. Her amazing teachers told me that Tayler has been trying to form words, but I wasn’t quite prepared for what happened after Sunday dinner. I just developed a meal of baked chicken coated with an unmentioned dressing. Nothing quite special. The cooked chicken rested quietly in a metal pan, with a simple salad alongside it. She then handed the tray to my husband, and casually walked away. My husband let out a huge, uproarious laugh. I simply stared in disbelief and shock. I never imaged that chicken (that honestly wasn’t very great) would produce spontaneous speech. The thoughts in my head included shock, sprinkled with confusion, topped with a slight offense. (The chicken wasn’t THAT bad!) I felt complete and utter pride and joy. She did have a point. This journey as a mom is full of unexpected surprises and turns. But Tayler was correct — I needed to throw some things away. And maybe you should take my daughter’s advice too. 1. Throw away strict timelines. Even if your child is “neurotypical,” sometimes growth is not linear. Change and progress will happen when it is meant to happen. My goal was not to wait until the age of 14 for my daughter to say her first sentence. I felt SO much sadness from her inability to communicate, but it happened when she was ready. No words can describe the joy I felt when her first sentence flowed from her mouth. It was the realization that if she said one sentence, others would come. Tayler has had speech therapy for years. But sometimes, even when you do everything right, progress isn’t made. I noticed a certain maturity with my daughter this year. I’m unsure why this year in particular, but again progress is not always linear. Sometimes stagnation can look like a mountain. But even mountains can shift. Fear of bad reports (especially the “no progress” type). Fear of what “might happen” or “what the end will be.” Even though removing fear is tough, I recognize that it is unproductive. I feared for my daughter’s future when she was born. The older I get, the more I realize that the more I plan for her future, even financially, the better off she will be. I’ll plan to throw away fear, and will replace it with action. 4. Throw away hurt and anger. At my daughter’s birth, I felt fear and hurt, and it festered. I was speechless. I felt as if life wasn’t fair. I would see other moms of children with Down syndrome and they were happy. I love Tayler with my entire being, but I was afraid and angry because I felt that life might be hard for her. The multiple hospitalizations and frequent doctor visits created a deep desperation to discover “Why.” I do believe that having Down syndrome is like a Four Leaf Clover. It is something that just happens. On the rough days, I’ll do my best to throw away the “Why can’t it be easier?” thoughts and remember that her differences are simply a part of her uniqueness and beauty. 5. Throw away random opinions. The stares sometimes bother me. What will people think if she “has a meltdown”? What will they say when she reaches out for a hug? What if she kisses them on the cheek? Will they feel weird? I’m throwing that fear of other opinions away. Because the truth is, her hugs are precious. We have tried our best to teach socially appropriate behavior, but deep in her body exists a desire to hug and show others love, regardless of age, gender, or race. So if that random stranger chooses to reject it, we shall shake the dust off of our feet and continue our beautiful journey. I hope other parents will take Tayler’s advice. 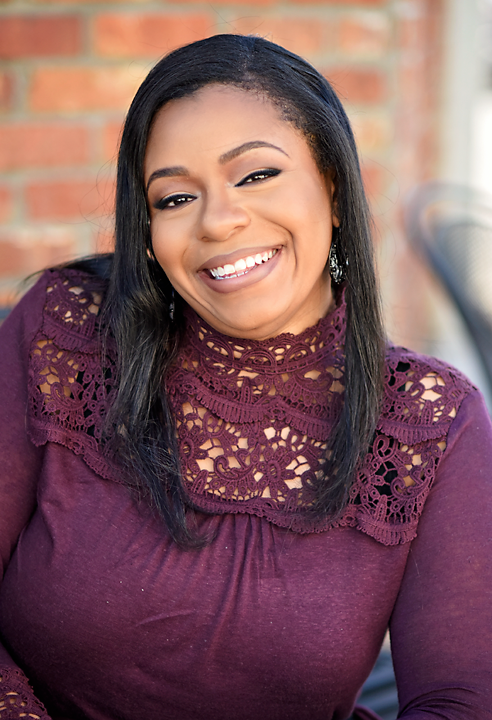 Even if life has thrown some seemingly insurmountable obstacles and you are faced with unexpected twists and turns, or even if you just made subpar chicken, you might want to take Tayler’s advice and throw a few things away.